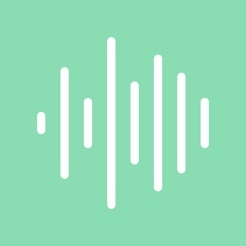 The Official app of Noisli.com - The background noise and color generator for working and relaxing. 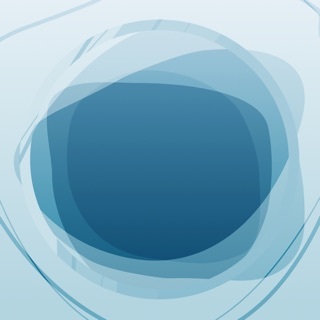 High quality ambient sounds to help you focus while working, relieve anxiety, help during your meditation or yoga classes, or just to relax while reading or before going to sleep. You’re working from an open office, have loud co workers and can’t focus? You’re working or studying from home or in a library and nothing gets you motivated? You’re continuous travelling on plane or train and need a quick power nap? Noisli makes your life a little easier and keeps you sane during long office hours or intense study sessions. The app is also useful in many other situations, such as helping with insomnia, relaxing while reading, reduce stress, soothe headaches and migraines or at the spa, during massaging sessions and for parents to help your baby fall asleep. 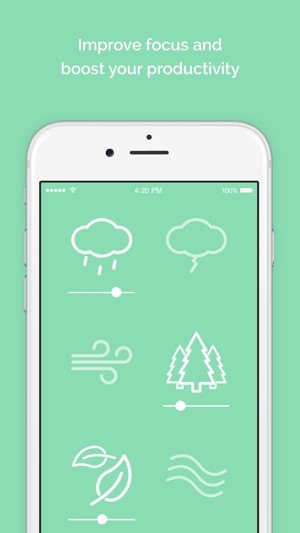 Noisli is also used to mask Tinnitus and to help with ADD and ADHD. With Noisli you can improve your health and feel better. The service is already being used all over the world by coders, programmers, bloggers, writers, students and translators during work or by teachers during creative writing classes. 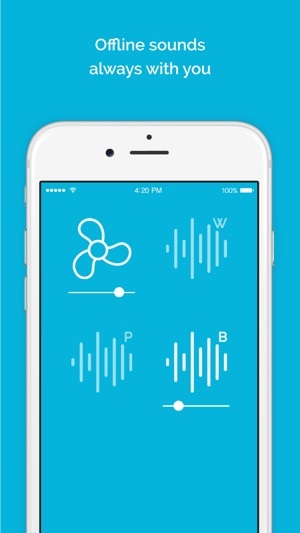 Mix different sounds and create your perfect sound ambience tailored to your personal need and taste. Activate one or more sounds and adjust the volume slider to create an always different and pleasing sound environment. With Noisli you can boost your focus and enhance your productivity or just lay back, listen, and enjoy falling asleep. Rain, Thunderstorm, Wind, Forest with Birds, Leaves, Water stream, Seaside with seagulls and relaxing waves, Water, Fireplace, Summer night with owls and crickets, Fan, rumbling Train, Coffee Shop, White Noise, Pink Noise, Brown Noise. The Noisli app lets you play all of the sounds offline and therefore you can always enjoy its features and benefits also while travelling on a plane or commuting on a train, or during any other activity with no need for an internet connection. Play and Mix the Sounds together and find your Favourite Combos - Save and Replay them whenever you like. Now you can sign up for a free Noisli account and have your wonderful Combos always in sync on all your devices. A network connection is required to synchronise. 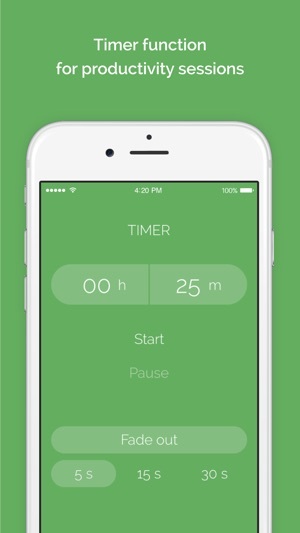 With the Timer function you can take advantage of efficient time management methods, such as the Pomodoro Technique, to be more efficient and productive while cutting out distractions and prevent burnouts. Use the built-in countdown timer function during work, study or creativity sessions or simply use it as a sleeping timer for taking a relaxed nap or while falling asleep. 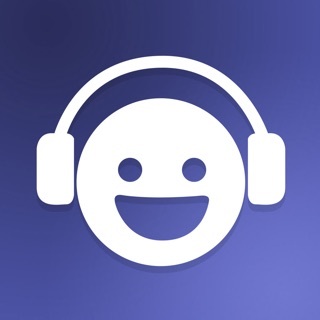 You can enjoy the wonderful sounds also while using other apps or while surfing the web. 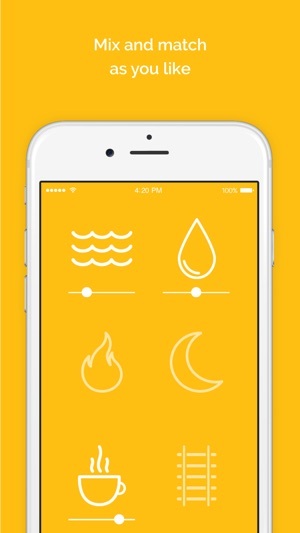 I’m quite pleased with this well designed app and it’s meditative nature sounds except for the thunder sound which is not realistic sounding and the fact that the app stops playing if you try to add some background music from iTunes, Pandora or other music player apps. 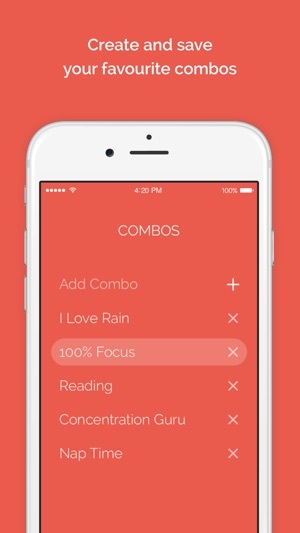 Simultaneously playing two separate sound apps together technically IS possible on an iOS device as other ambiance apps can do it or they have an “add background music” feature (the Coffitivity coffee shop app can do both) — so it somewhat disappointed me to discover that Noisli could do neither. Add that feature guys and improve the thunder sounds and I’ll give you 5 stars! I was introduced to Noisli as a (free) Chrome extension and love it primarily for the ability to set the timer to any amount of time I want. I was excited to find this iOS counterpart and didn't hesitate to pay $1.99 because my iPhone is where I would use the timer most, whereas my laptop is where I would use the white noise most. I expected this pay version to have at least the same features I got from the free app. BUYER BEWARE! It turns out this iOS app does not have a customizable timer and now I have paid for an app that doesn't do as much as its free version. This is one of my favorite apps and the quality of the sounds as well as the mixer/combo functions are amazing. I would love to see more sounds added over time to make more combos and to keep a good variety going as my mood for sounds changes quite a bit. As a number of friends also use this app it would be great to have a function that allows the sharing an syncing of combos to other accounts.